ECONOMIST (Italy) Mario Monti’s austerity Drive !!! It is one of the country’s most celebrated institutions and has often been at the centre of controversy, but now the Miss Italia beauty contest is raising eyebrows again by banning bikinis in favour of modest attire. 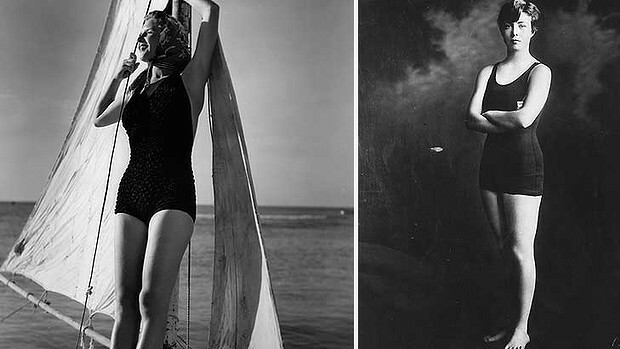 Only black and white one-piece bathing suits will be allowed in the swimwear section of next month’s contest in an attempt to recreate the more restrained style of the post-war era. Tattoos and body piercings will also be banned, as will any contestants who have had cosmetic surgery. Can you imagine these little darlings dressed in clothes their grandmothers would have worn? Miss Italia is a national institution, with heats held throughout the country in the run-up to the main pageant, which is broadcast live over two nights in early September, with each show lasting three hours. A total of 230 women will take part, before being whittled down for the final in the Tuscan spa town of Montecatini Terme. Each year there is a special guest, with the actors Bruce Willis, Sylvester Stallone and Andy Garcia being among the past members of the jury panel. Before this year’s show, contestants will meet Mahatma Gandhi’s granddaughter, which will help them to learn about the “concept of interior, as well as exterior” beauty, Miss Mirigliani said. Not everyone is happy with the contest’s new rules. Il Giornale, a newspaper owned by the family of the former prime minister Silvio Berlusconi, said the new regulations were inspired by the austerity campaign of the current Italian prime minister Mario Monti. “Can you imagine these little darlings dressed in clothes their grandmothers would have worn?” its report on the changes said. CAPE TOWN: Nelson Mandela’s grandson and political heir has banished his wife from their home after he discovered she had given birth to his brother’s baby. Mandla Mandela, 38, was accused of bigamy when he married the teenage Anais Grimaud while still married to his first wife. Now, following weeks of media speculation that their marriage had ended amid blazing rows, Mr Mandela has confirmed his wife had an affair with his brother. The scandal is the latest in a series of controversies involving Mr Mandela, whom Nelson Mandela anointed as his political heir. As well as being a South African MP, he is a chief in the Thembu tribe and handles much of his grandfather’s legacy. As the grandson of the universally revered 94-year-old, he is also the public face of the family. He married his first wife, Tanda Mabunu-Mandela, at a traditional ceremony in 2004. Six years later, he married Ms Grimaud, who is from the island of Reunion, a French overseas territory in the Indian Ocean. She took the tribal name Nkosikazi Nobubele Mandela. The couple’s son was born in September last year and was named Qheya by Nelson Mandela. But the marriage was marred by the fact that Mandla Mandela remained officially married to his first wife. Ms Mabunu-Mandela fought the Grimaud marriage in the courts and it was declared unlawful last year. 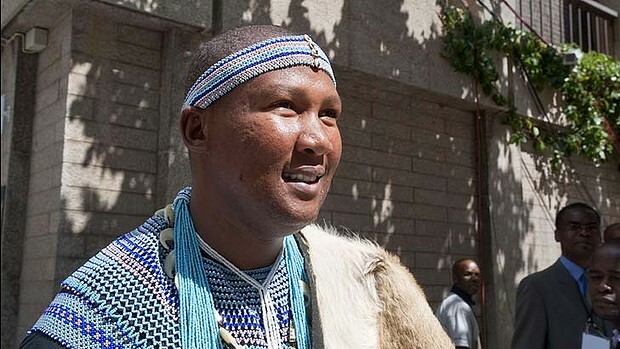 In a statement released this week, Mandla Mandela said DNA tests confirmed the boy was not his son, but he did not identify which of his two brothers was the father. Redheads have long battled rumours they are a dying breed and Europeans are not helping, with the world’s largest sperm bank rejecting flame-haired donors due to lack of demand. But IVF Australia medical director, Associate Professor Peter Illingworth, said the same would never happen here because the country does not have enough donors. “The problem we have is a shortage of donors,” Associate Professor Illingworth said. London’s Daily Telegraph reported that Denmark’s Cryos sperm bank, which provides sperm to women in 65 countries, has started turning away red-haired donors because there is very little demand for their sperm. A recent peak in donations meant the sperm bank could be selective about their donors, Cryos’s director Ole Schou said. “There are too many redheads in relation to demand,” he told told Danish newspaper Ekstra Bladet. Mr Schou said the sperm of redheads “sold like hot cakes” only in Ireland, while Cryos’s clients mostly demanded donors with dark eyes and hair. Associate Professor Illingworth said there was no real bias against red-haired donors in Australia. “I think it depends on the context,” he said. “Where couples are using donor sperm because the male partner has a sperm problem, then clearly they want the donor to look as close to the male partner as possible. “And clearly red hair is not the most common hair colour in Australia. Associate Professor Illingworth said donors would never be turned away in Australia for a “trivial issue” such as hair colour, as it was difficult to attract any men to give their sperm. Men can only donate their sperm after a rigorous process of counselling and health checks, including screening for mental health and genetic issues. “The ethical background under which donor sperm is used in Australia is quite different … nowadays in Australia we only use sperm donors in Australia who are willing to have their identity passed on to the offspring. “We also have strict limits on the number of families you can create from any one donor. “Neither of these apply in other parts of the world; therefore in other parts of the world it is much easier to recruit a sperm donor and you can use a sperm donor to create many more families.